Co-written by economist Richard Layard, one of the main architects of the controversial Improving Access to Psychological Therapies initiative, this book’s stated aim is to use a comprehensive range of data to evaluate which factors contribute most to human happiness. The book aims to make this information useful to policymakers by quantifying how much of an impact intervening in different factors could be expected to have on the happiness of the population. A key conclusion in the book’s analysis using multiple regression and panel studies is that mental illness diagnosis predicts happiness better than income, education or employment status. This book adds to the debate about whether income influences happiness in conversation with economists like Stevenson and Wolfers (2008) and Wilkinson and Pickett (2010). A key weakness of the analysis is the conflation of a one-item measure of life satisfaction with the concept of happiness. At the beginning of the book, the authors do own their perspective as aligned to the Anglo-Saxon Enlightenment, but they avoid complex philosophical debates about what happiness is. One example of taking an alternative perspective is that a culture of valuing appearing grateful in difficult circumstances could inflate responses, so the measure excludes questions of justice and fairness (Sen, 2011). A strength of the book is its attempt to make psychological research useful for policymakers. Unfortunately, in simplifying complex issues and attempting to avoid appearing political, the authors risk creating unintended negative consequences. If these ideas were taken up by policymakers, resources might be focused away from making society fairer and toward individual interventions for ‘mental illness’ (e.g. resilience training for children in schools and individual therapy and medication for adults). This may be good for psychologists while being bad for the population. Psychologists may wish to have an opinion about this book to ensure its implications are fully considered and to ensure a process of reflection and learning occurs following the implementation of IAPT. This book could be of interest to psychologists who want to influence policy, as although the happiness agenda has been less explicitly prominent since the most recent election, it could be revived by future governments. Similar individually focused approaches to psychological wellbeing are evident in policies like the recent CAMHS green paper. 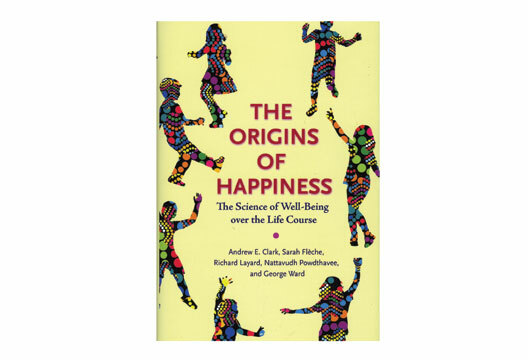 See the recent British Psychological Society Community Psychology Section response to The Origins of Happiness and a forthcoming book chapter by Psychologists for Social Change for a longer discussion. Sen, A. (2011). The idea of justice. Cambridge, MA: Harvard University Press. Stevenson, B. & Wolfers, J. (2008). Economic growth and subjective well-being: reassessing the Easterlin paradox. Working paper no. 14282. Cambridge, MA: National Bureau of Economic Research. Wilkinson, R. & Pickett, K. (2010). The spirit level: Why equality is better for everyone. London: Penguin.